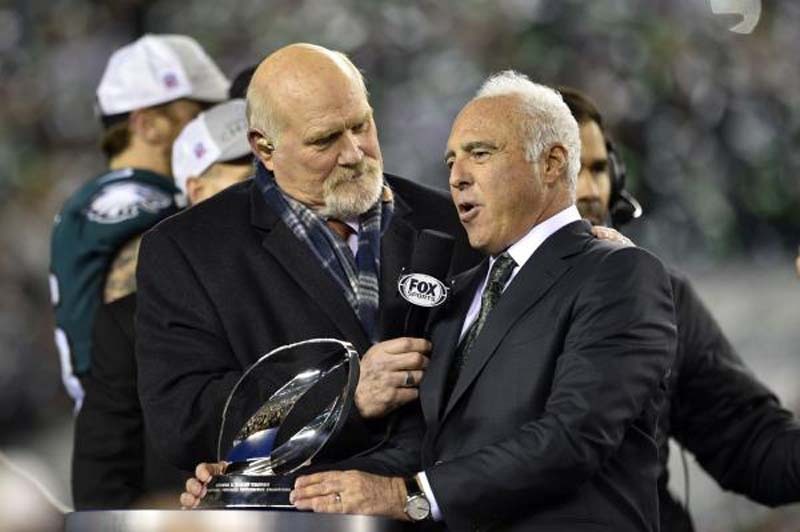 "I agree with the Eagles, totally, 100 percent," Bradshaw said. "Trump just needs to ... go somewhere and enjoy the money he's got." Bradshaw, who won four Super Bowls with the Pittsburgh Steelers in the 1970s, also criticized FOX News, which ran footage of Eagles tight end Zach Ertz praying before a game while anchor Shannon Bream discussed Trump's aversion to players kneeling during the national anthem. "You know what's so bad about that whole event was how they were portrayed as protesting, kneeling during the national anthem? They were praying," Bradshaw said. "That is just wrong. ... Listen, First Amendment rights, I totally believe in them." FOX News has since apologized for what it described as an "error."